There are many celebrity shows focusing on the intrigue of survival in the Jungle, however they are all executed with the security of a grand plan and designed to stimulate emotions or shock through wild nature and give Celebrities of otherwise the basic feeling of survival, all be it in the context of a conditioned TV program. Having personally escorted tours in the Amazon Jungle from the deeper reaches of the Orinoco river to the table top mountains of the Gran Sabana in Venezuela, in addition to parts of the dense rainforest in the Brazilian Amazon, I often felt the fragility of being a Human out of my depth and pondered on what would happen if our plane broke down or if our Guide suddenly disappeared. I therefore made it my mission to learn how to survive in the Jungle, even if only on the most fundamental way. So next time you find yourself lost without a Guide in the midst of the Jungles in Africa, the Amazon or somewhere in Borneo, here below are some of my finest survival tips. Focus your mind on the fact that you are lost and your best chances of survival are to find some remnants of civilization. 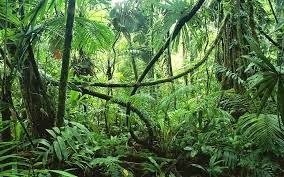 Contrary of popular belief most of the human life you come across in the Jungle will likely be reasonably friendly (not all) and your access to safety, so seek Human life. The only reliable way to navigate yourself to life is by finding then following a river and to calculate your desired direction. Generally, animal trails will lead you to water. Water is the key to Jungle navigation and usually the quickest way to travel. Mark your trail by breaking and turning over fresh vegetation to leave a clear trail should you need to backtrack. You may be lucky enough to find Indian life close to water. Large hollow tree buttresses are your best bet. Line the ground with palm fronds and stand several more palm fronds over the opening. Do not build this shelter under a tall tree during a thunderstorm because of lightning danger. If you do not have the means to purify water, cut sections from large water vines, or cut banana trees and capture the water welling out of the stalks. Only drink water from streams and rivers as a last resort, when dehydration and death are a near certainty. Diarrhea will most likely result, so increase your water intake and keep moving. There is one common rule you must learn. If you cannot peel it or cook it, do not eat it. Avoid brightly colored plants or plants with a milky sap (many of these are poisonous). Look for grubs and insects beneath rotting logs and vegetation. Pinch the heads off and eat them raw. The most dangerous place on earth for the individual is wherever you are right now! If that happens to be in the middle of a Jungle, your survival risk ratio is reduced. Therefore, be aware of the real dangers of the Jungle, which are not so much the large animals we all fear such as Puma’s, Leopards or Gorillas. The real danger lurks with the smaller animals and insects that plague the Jungle and will find your fresh sweet blood most attractive. In particular avoid Scorpions, Ants, Flies, Mosquitoes and the Bacteria in water or on fruit are your worst enemies. Never touch any brightly colored amphibians either! For example the poison dart frog possesses a powerful toxin in their skin and any contact however slight will make you severely ill. So next time you take that Package Tour to the middle of the Jungle or find yourself on an unexpected excursion to the rainforest, remember to pack my little article of tips, as it could save your life!